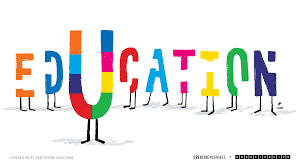 Education is commonly divided formally into such stages as preschool or kindergarten, primary school, secondary school and then college, university, or apprenticeship. Plato founded the Academy in Athens, the first institution of higher learning in Europe. The city of Alexandria in Egypt, established in 330 BCE, became the successor to Athens as the intellectual cradle of Ancient Greece. There, the great Library of Alexandria was built in the 3rd century BCE. European civilizations suffered a collapse of literacy and organization following the fall of Rome in CE 476. In China, Confucius (551–479 BCE), of the State of Lu, was the country's most influential ancient philosopher, whose educational outlook continues to influence the societies of China and neighbours like Korea, Japan, and Vietnam. Confucius gathered disciples and searched in vain for a ruler who would adopt his ideals for good governance, but his Analects were written down by followers and have continued to influence education in East Asia into the modern era. After the Fall of Rome, the Catholic Church became the sole preserver of literate scholarship in Western Europe. The church established cathedral schools in the Early Middle Ages as centres of advanced education. Some of these establishments ultimately evolved into medieval universities and forebears of many of Europe's modern universities.During the High Middle Ages, Chartres Cathedral operated the famous and influential Chartres Cathedral School. The medieval universities of Western Christendom were well-integrated across all of Western Europe, encouraged freedom of inquiry, and produced a great variety of fine scholars and natural philosophers, including Thomas Aquinas of the University of Naples, Robert Grosseteste of the University of Oxford, an early expositor of a systematic method of scientific experimentation,and Saint Albert the Great, a pioneer of biological field research.Founded in 1088, the University of Bologne is considered the first, and the oldest continually operating university. The Renaissance in Europe ushered in a new age of scientific and intellectual inquiry and appreciation of ancient Greek and Roman civilizations. Around 1450, Johannes Gutenberg developed a printing press, which allowed works of literature to spread more quickly. The European Age of Empires saw European ideas of education in philosophy, religion, arts and sciences spread out across the globe. Missionaries and scholars also brought back new ideas from other civilizations – as with the Jesuit China missions who played a significant role in the transmission of knowledge, science, and culture between China and Europe, translating works from Europe like Euclid's Elements for Chinese scholars and the thoughts of Confucius for European audiences. The Enlightenment saw the emergence of a more secular educational outlook in Europe. In most countries today, full-time education, whether at school or otherwise, is compulsory for all children up to a certain age. 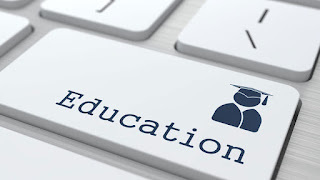 Due to this the proliferation of compulsory education, combined with population growth, UNESCO has calculated that in the next 30 years more people will receive formal education than in all of human history thus far.